Active adults and retirees should consider living in 55+ communities in Western Massachusetts because of its four-season climate, rich culture and history, and outdoor attractions. 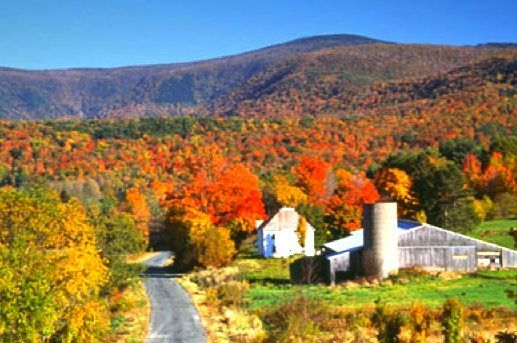 Western Massachusetts also has plenty of natural beauty like the Berkshire Mountains that offer scenic mountain views to the rolling hills of the Pioneer Valley. Although Western Massachusetts is geographically small, it still has a lot to offer 55+ homebuyers who choose to reside in age-targeted communities. Western Massachusetts consists of Berkshire, Franklin, Hampshire, and Hampden counties. The Berkshire Mountains to the west and the Connecticut River Valley and Pioneer Valley to the east are just a few of the popular areas within Western Massachusetts. Western Massachusetts also has Quabbin and Quaboag Regions that are east of the Connecticut River Valley, which are known as hill towns because of the vast hills and rocky soil landscapes. Age-restricted communities in Western Massachusetts enjoy a four-season climate. Winters are cold and snowy with average temperatures around 26 degrees, and in some cases of winter snowfalls the average temperature can fall below zero degrees. Summers are usually warm with a humid continental climate with average temperatures in the high 70s to 90s. Spring and fall temperatures are usually pleasant with mild days and cool nights, and precipitation averages around 46.7 inches annually. Active adults and retirees will find plenty of things to do in Western Massachusetts. Age-targeted communities in Western Massachusetts have access to natural beauty and lush landscapes, museums, art, and cultural attractions. Some of these attractions include the Berkshires, Mohawk Trail, Tanglewood, Yankee Candle Village, Crab Apple Whitewater, and Norman Rockwell Museum. Adults aged 55+ can enjoy kayaking, skiing, golfing, canoeing, snowboarding, and fishing activities while getting fresh air in the beautiful outdoors. They can also enjoy the Pioneer Valley for its museums and holiday festivals like Bright Nights at Forest Park, a two-and-a-half-mile long holiday light event with decorated scenes of Christmas. Springfield s Symphony Hall and Basketball Hall of Fame are also great places to visit in Western Massachusetts. The cost of living in Western Massachusetts is higher than the national average. The city of Springfield has a cost of living that is 10.2% higher than the national average, but is 16.3% less than the Massachusetts average. Western Massachusetts has a 6.25% sales tax and has the 8th highest property tax in the U.S.
Western Massachusetts has plenty of hospitals and healthcare facilities near active adult communities. The VA Central Western Massachusetts Healthcare System is available to veterans and Western Massachusetts Hospital is a public hospital for residents of Western Massachusetts. Other hospitals in Western Massachusetts include Baystate Medical Center and Baystate Children s Hospital, which are nationally ranked for specialties, and Mercy Medical Center.